Sunday saw the ritual ribbon-cutting on the opening of the 2012 edition of the Cork Film Festival. Musical highlights include a very busy Cork Opera House Bar which plays host to the film festival's club this year. Watch out for a battle of the record stores as Plugd, Wingnut and Elastic Witch all send representatives to spin some tunes on the 1st floor or IMRO's venue of the year 2012 on Saturday evening. 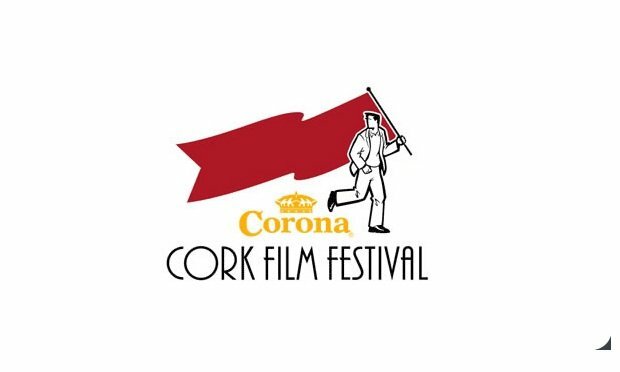 Visit www.corkfilmfest.org for further details on the full programme. Stand-out shows taking place early in the week include: Michigan husband and wife indie duo Keith and Cathy Latinen aka Empire! Empire! who nimbly hop-scotch across the Irish Sea for a couple of Irish dates including a date on Caroline Street in Cyprus Avenue on Monday; Wexican-turned-Corkonian Lynda Cullen plying her folkie wares in the Vicarstown Baron Tuesday; Madrid-based acousticans Track Dogs (who come baring a trumpet, a weakness of mine when applied correctly) in The Crane Lane Theatre on Wednesday; and something a little different that same night in The Roundy on Castle Street as Dan "Great Balloon Race" Walsh's The Empty Orchestra improvise an accompanying soundtrack to Godfrey Reggio's 1982 masterpiece Koyaanisqatsi. As we shift into the weekend the big hitters step up to bat as million-selling Staten Island commercial indie queen Ingrid Michaelson's cramped tour-bus rolls into The Pavilion on Thursday evening. As warm a laugh as her backbone is hard, I chatted recently with the New Yorker who shot to fame with soundtrack appearances on Grey's Anatomy. Read the full interview with Ingrid Michaelson here. No need for the earplugs on Parliament Street the following night (Friday) as local legends The Frank & Walters return from their recent Japanese tour to help Fred Zeppelins celebrate 15 years in the business with a close-up and personal appearance on the 1st floor of the just as legendary long-lasting rock venue. Saturday continues the trend of plenty of options with Norwegian noise-lords Honningbarna visiting The Pavilion (see here for full interview) while west Cork country kids LOWmountain the latest in a line of acoustic-orientated acts to relish the cosy atmosphere of the newly refurbished confines of Coughlan's on Douglas Street. Last but not least there is one heck of a quality guerilla gig lined up for...well...somewhere. See here for the info available as we go to press/post. Oh and if you're bored, I will be talking G-iberrish in Elec Eng Building L2 in UCC on Thursday for a bit. See here for a bit more detail. UPDATE: Tasty show added for Plugd on Friday. See below for more details. See PROC's monthly preview for a wider perspective. UPDATE: - Native, Terriers and We Come In Pieces in Fred's is actually December 15th rather than November. My bad. Updated now.